FT. LAUDERDALE, Fla. - Nov. 10, 2017 - PRLog -- To celebrate its 10th anniversary, Pet Life Radio, the largest pet radio network in the world with millions of listeners, is featuring a contest for dog lovers to create canine-focused memes in conjunction with the Thanksgiving Day Holiday and the annual NBC special, "The National Dog Show Presented by Purina." The competition, featuring a cash prize of $500 or a trip to the 2018 National Dog Show in Philadelphia, is centered on the theme "Dogs Until 2," reminding people to watch the dog show until its Best In Show conclusion at 2 p.m. on Thanksgiving Day. 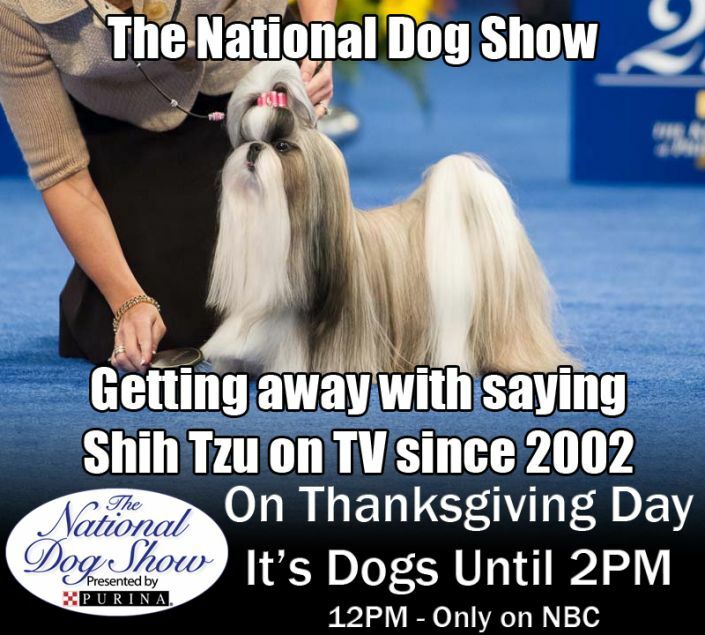 Since the two-hour special airs from noon-2 p.m. in all time zones across the United States following the Macy's Thanksgiving Day Parade, the meme contest theme is, "On Thanksgiving Day, it's dogs until 2." The NBC special attracts a total audience of over 20 million viewers each year and achieved its highest-ever Nielsen rating of 5.9 in 2016. Created by award-winning producer, Mark Winter, Pet Life Radio is the largest and #1 pet radio network on the planet, featuring over 75 pet-related talk shows hosted by the most well-known pet experts, authors and radio and TV personalities in the world of animals and pets! With over 7 million monthly on-demand listeners Pet Life Radio has hosted celebrity guests like Jennifer Aniston, Betty White, Amy Schumer, Paris Hilton and more. Pet Life Radio just recently won a prestigious Genesis Award, and is the Official Radio Network of the American Humane Association. Pet Life Radio is available on-demand from the PetLifeRadio.com website, iTunes, Google Play and others. The Pet Life Radio 24/7 live radio stream is broadcast globally to over 100 million subscribers on the PetLifeRadio.com home page, iHeartRadio, TuneIn, Stitcher, iTunes Radio, Aha Radio, and more.